I love reading magazines but there is always a bit of guilt over putting them into the recycling. 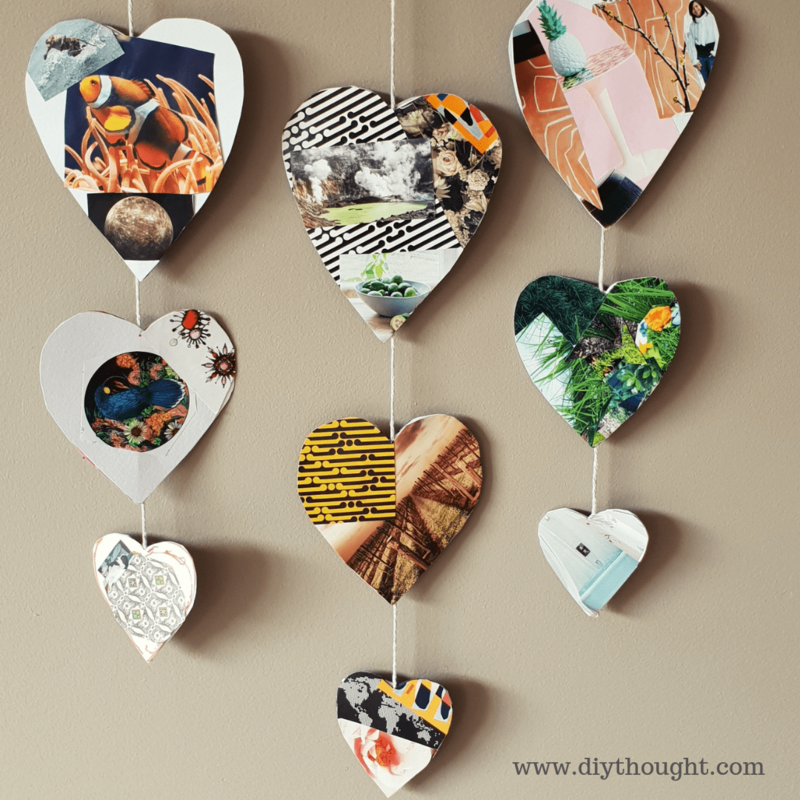 This DIY magazine hanging hearts craft is the perfect use for old magazines! 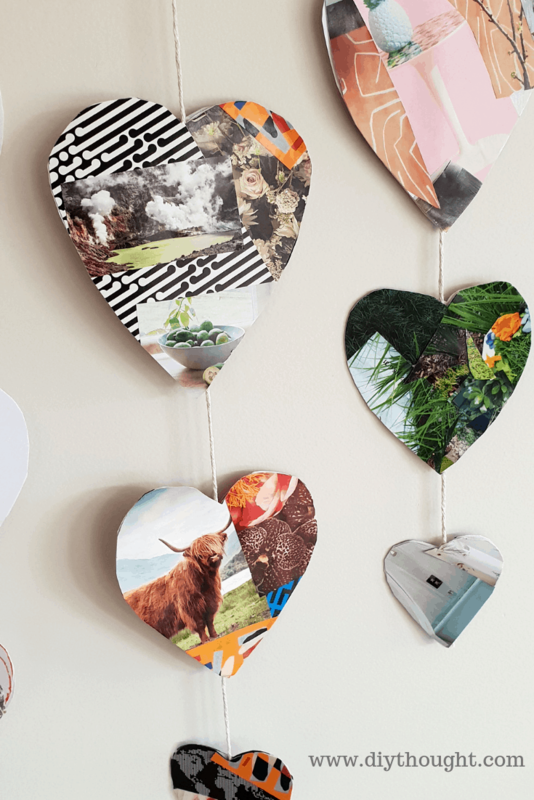 Our kids always love cutting and sticking magazine pictures onto paper, this craft is taking that activity one step further and creates a cute Valentine’s Day decoration. It is simple to make, perfect for all ages, almost mess free and lots of fun. Now that is a great reason to splurge on some new shiny magazines. Start by making the hearts. The easiest way to do this is by drawing a heart onto paper, then folding in half and cutting around the best half of the heart before unfolding. Once you have the heart shape trace around it onto a piece of cardstock. 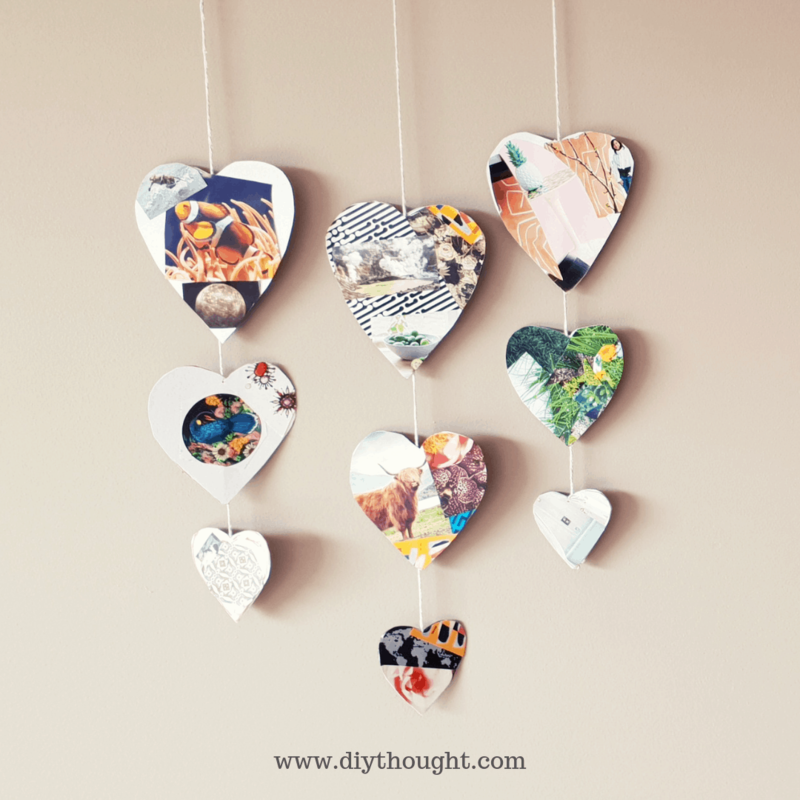 Each heart is made from two cardstock hearts glued together. 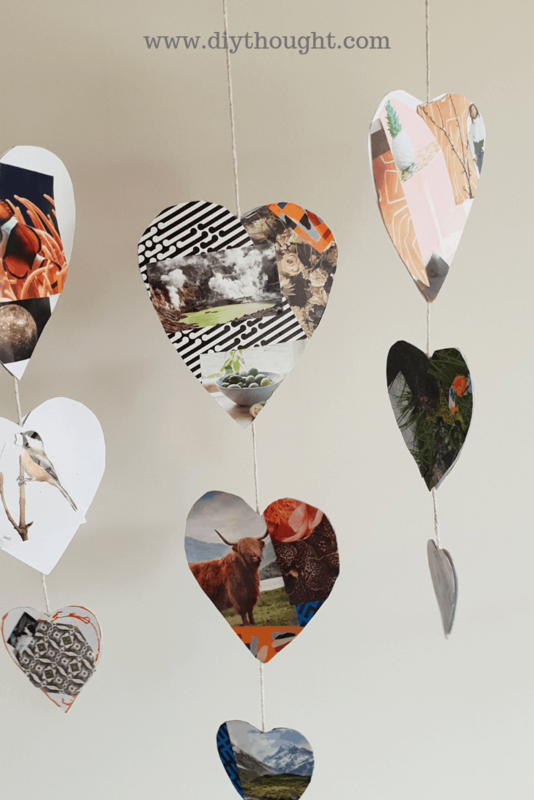 So figure out how many hearts you would like on your hanging heart decoration and cut out the number of hearts you require. We had 3 hearts each so needed 6 hearts each. Once you have your hearts the fun part can start! Go through the magazine(s) and cut out all of the pictures you like. My girls love doing this but I also help out by cutting out any good images I see on my way. We have a container where we store cutout magazine pictures and glue so any extra made their way into that container. Now that you have your favorite images plan where you would like them to go. A good idea is to stick the larger images on the bottom and the smaller ones on top. 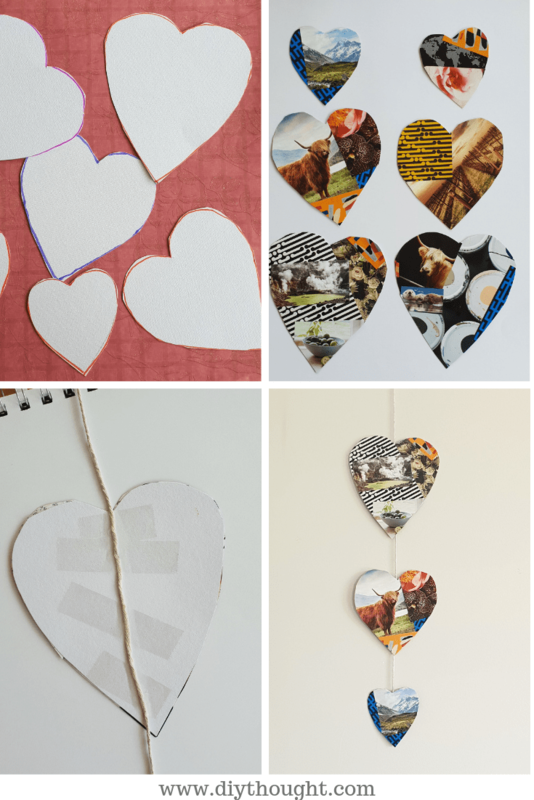 Glue the images to one side of all of the hearts then trim around the heart to make it all neat and tidy. 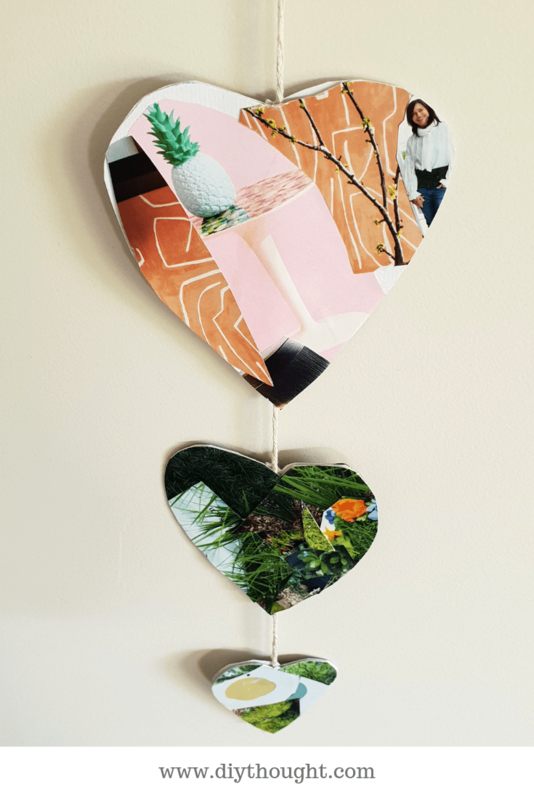 Turn the hearts into a hanging decoration by placing one heart image side down and taping on some string. 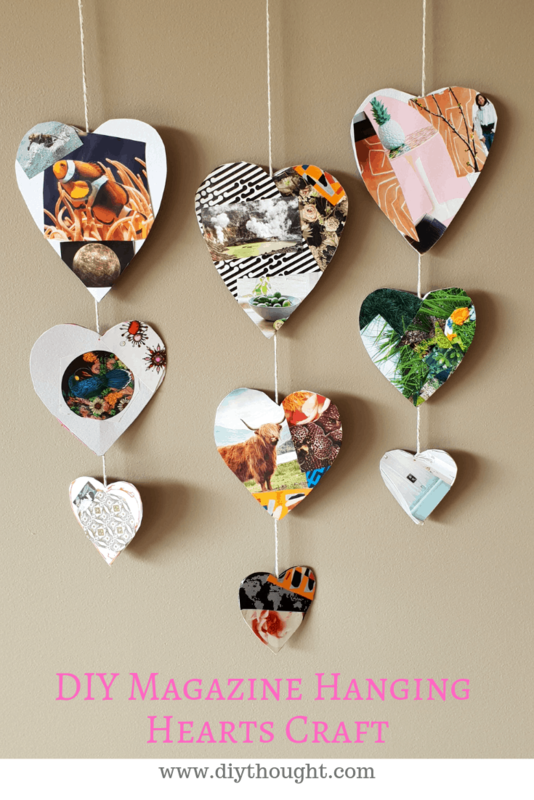 Make sure to leave enough string at the top of the heart so it can be hung up in its desired spot. Use glue (we used a glue stick) and stick the matching sized heart onto the heart with the tape. Leave a gap and continue this process until all of your hearts have been attached. Find a place and hang it! We had ours on the wall for a while then in moved to hang from a doorway so we could watch them spinning around. The girls loved making their hearts. You can probably tell from the photos which one Miss 4 did from the sparsely covered hearts but this is the way she wanted it so this is the way it stayed. Miss 7, however, is quickly overtaking my crafting ability! 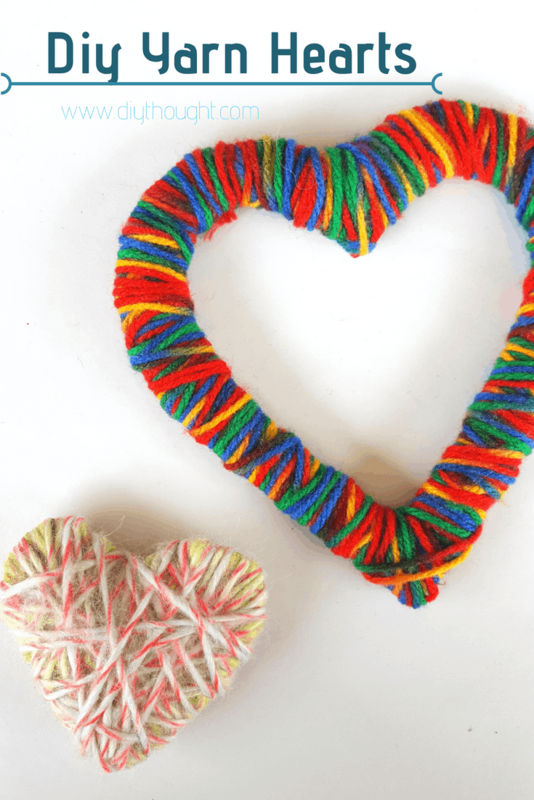 If you like this craft you may also enjoy our yarn heart craft.